Our team of experts are always on hand to provide outstanding services and products whenever our customers need them. We want to introduce the men and women driving Domus to be Your Ventilation Champions. 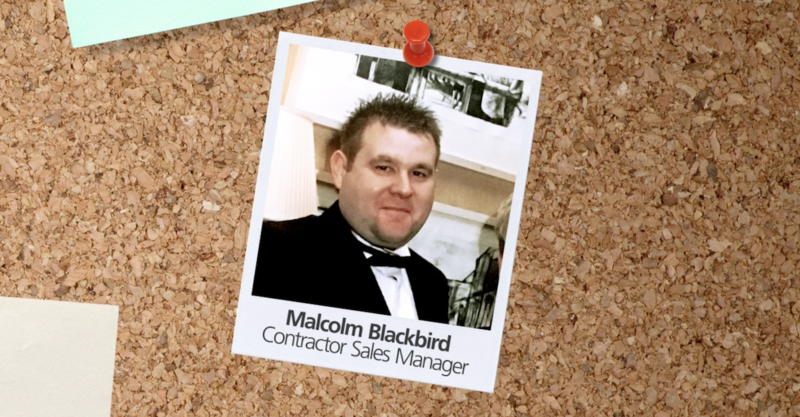 Contractor Sales Manager Malcolm Blackbird joined the Domus Ventilation team in January 2019 and can’t wait to continue to develop exciting relationships with our clients across Wales and the South West. A proud Welshman and Newportonian, sport-mad “Mal” is a self-confessed Newport County nut and when he’s not busy watching County, he’s coaching his local club Albion Rovers (direct descendants of the Scottish team of the same name!) or squeezing in a round of golf with friends. A real community man, the ideal work project for Mal would be to upgrade his local football facilities with a new stand and a state-of-the-art 4G training pitch while the perfect Sunday would have to be a cheeky Peroni while topping up the tan in the Algarve. Happily married, the best present Mal has ever given has to be his wife’s engagement ring. Despite being a surprised proposal, she was probably the only person in Newport that didn’t know it was coming – good thing she said yes then! Welcome to the team Mal.